Home / Skincare / Cherry blossoms: The Japanese skincare secret that will give you the best complexion ever! Cherry blossoms: The Japanese skincare secret that will give you the best complexion ever! It’s been a major bucket list item: Visiting Japan during cherry blossom season. Or sakura, as the flowers are known in local parlance. It’s not like you can’t see cherry blossoms elsewhere in the world – I have had some fabulous views in Geneva, and even closer home in Washington DC, where the Tidal Basin is drenched in these blush and bubblegum pink blooms during the start of spring. But floating under the frothy, candy floss clouds on the Lake Biwa Canal, or walking the famous Nakaragi no Michi path, is an experience like no other. Come nighttime, the moon illuminates the flowers and transforms the world into a fairytale. And if you are lucky enough to be sitting under a cherry blossom tree on a windy day, you get to experience a rain of cherry blossom petals, which just feels surreal. However, in Japan cherry blossoms go far beyond merely pretty blooms that mark the beginning of spring. One of the most surprising discoveries for me was cherry blossom tea (or sakura-yu) – a pale pink cup of gorgeousness that has a faint resonance of rose petals, with delicate plum and almond undertones. And it is salty. Why salty? Cherry blossoms are so fragile and have such a short bloom that those in the know pickle the petals in salt and ume plum vinegar to be used throughout the year. The flowers are edible and go into everything from tea and jellies to meringues and macarons. And they also go into skincare products. A fact that I was reminded of recently, while going through the label for Milk Makeup’s new Hydro Grip Primer, where cherry blossom extract is one of the main ingredients. Which led me to wondering: Is cherry blossom a skincare treasure as well as being one of the prettiest flowers known to humankind? Turns out that yes, cherry blossom is not the national flower of the world’s most skincare-conscious country for nothing. The pretty blooms, which appear in everything from Tatcha’s Cherry Blossom Camellia Lip Balm to The Body Shop’s Japanese Cherry Blossom Lotion, are skincare saviours par extraordinaire. 1. Cherry blossoms are extremely high in antioxidants that help mop up skin-damaging free radicals. Left to do their job, these free radicals are one of the prime causes of premature ageing. 2. These pretty petals are a storehouse of essential fatty acids that help repair the skin’s natural barriers and promote a smooth, supple complexion. 3. Cherry blossom extract counters the effects of glycation. Glycation is a process wherein excess sugars bind to the body’s proteins and destroy collagen and elastin (skin’s building blocks), thereby leading to wrinkles and sagging. 4. Cherry blossom extract can lighten hyperpigmentation and clarify uneven skin by inhibiting the production of melanin. 5. The blooms have powerful anti-inflammatory properties that help heal and soothe irritated skin. 6. Finally, cherry blossoms boost collagen synthesis to increase skin elasticity, improve smoothness and inhibit increase in pore size. 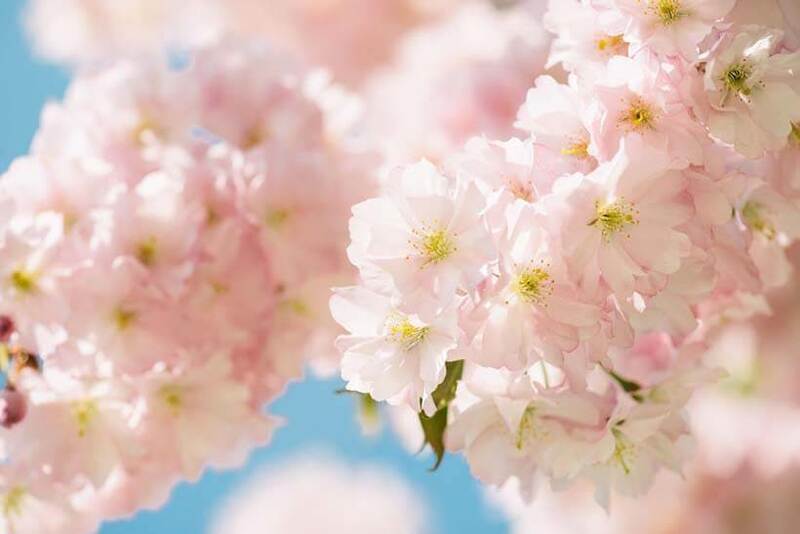 Come to think of it, I should not have been so surprised to learn about cherry blossom’s skincare properties, considering it is part of the rose family – and we know that roses are some of the most powerful botanicals in the world! So, here I am: Sipping on a cup of pale pink, slightly salty cherry blossom tea, which is basically spring in a cup. Join me? PS: Cherry blossoms don’t have much of a fragrance. So, don’t be swayed by all those “cherry blossom scented” beauty products out there. They won’t do your skin any good! « Secret files: 11 cult French beauty products you haven’t heard about a zillion times already!